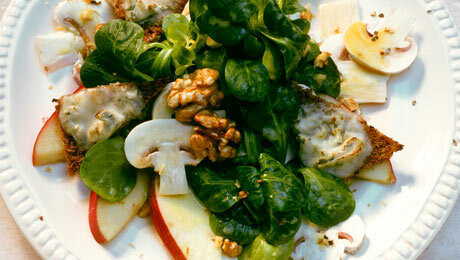 In a large bowl, combine the mixed leaves, pear slices and 5-6 generous tablespoons of Newman’s Own Italian Dressing. When all the leaves have been evenly covered in dressing, crumble in the blue cheese. Place in a serving bowl and scatter generously with walnuts and croutons.